31 Creek Cir, Naples, FL.| MLS# 218079727 | Southwest Florida Residential Real Estate for Sale. Perfect lot for the person who wants no fees in the future. Optional pool AND RECREATION PACKAGE.Optional boat access within the subdivision, but you do not need to join anything if you choose not to. The westfield model is pictured. A new 1100 sq ft 2 bedroom, 2 bath can be put on the lot for an additional $49, 900. You can also put up a modular Cape Cod. Very dilapidated home being torn down by the seller at sellers expense. No coop fees or restrictions. City water and septic. Financing is available with 10% down for new home and the land package. The home that was there before Irma appears to be about 30 ft wide and 65 ft long. Listing office has survey and information on new home possibilities. 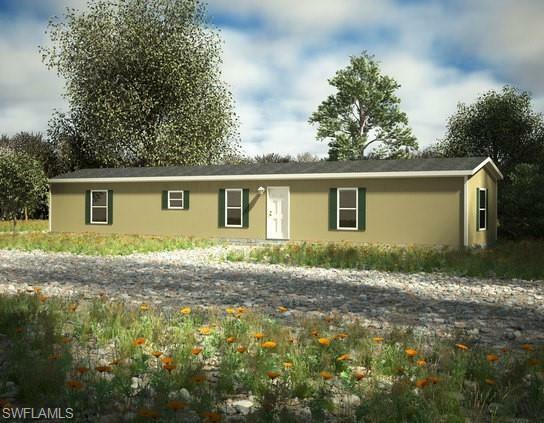 You can have a 2 bedroom/2 bath home for an additional $49, 900 in addition to the lot price. Call listing agent for floor plans to view the new homes. A buyer can have a brand new 2018 2 bedroom home for around $100, 000 total. Check out new home possibilities by googling Head manufactured homes in Punta Gorda. © 2019, The data relating to real estate for sale on this Website come in part from the Broker Reciprocity Program (BR Program) of M.L.S. of Naples, Inc. Properties listed with brokerage firms other than Royal Shell Real Estate are marked with the BR Program Icon or the BR House Icon and detailed information about them includes the name of the Listing Brokers. The properties displayed may not be all the properties available through the BR Program. BR data on this website is provided by Royal Shell Real Estate on behalf of Anabelle Miller. The source of this real property information is the copyrighted and proprietary database compilation of the M.L.S. of Naples, Inc. Copyright 2006 M.L.S. of Naples, Inc. All rights reserved. The accuracy of this information is not warranted or guaranteed. This information should be independently verified if any person intends to engage in a transaction in reliance upon it. Data last updated 2019-04-23 11:50:36.